Time! There’s never enough of it and when we do have it we seem to find ourselves spinning in circles figuring out which task on the never ending list to do first. Part of being organized is simply about knowing how to manage your time so that you can get the most done in the time that you do have. I strongly believe that we sometimes sabotage ourselves to keep from being more productive in fear that we won’t know what to do if we actually aren’t as busy as we’re made to believe we should be. Or that we won’t be able to compare ourselves to all the other “busy” people we interact with in our daily lives. But you know what? We need to get out of that mindset right now, and tell ourselves that we’re going to figure out how to get our crap done when it’s supposed to get done! Then, we’re going to enjoy our family time, our alone time and stop constantly thinking about what we “should” be doing. AND, even better, we’re going to celebrate by actually enjoying the downtime we do have without experiencing the guilt of “shoulda, coulda, woulda” in our pajamas with a glass of wine or chocolate. Or both – no judgment here. Identify your “timesucker(s).” This is when it’s time to be brutally honest with yourself. What is your distraction that you turn to when you don’t want to start the next project or when you “only have 20 minutes” left of the day? Is it facebook, candy crush, solitaire, chatting with co-workers, scavenging for food in the work room? Be honest…what do you do when you’re avoiding working? Using what you discover using your time log, come up with a general game plan for your days’ schedule. Each day may look different if you have meetings scheduled but you should have a plan for when you’ll be at your desk and when you’ll be up and around the office. If you are most productive in the mornings, you need to be at your desk in the mornings. Tell yourself that your “visiting” half hour can wait until the afternoon when you need a little energy and then do all of your stops at once so you don’t spend more time than needed going back and forth to your office. Set an alarm on your phone to keep you on track. Or that your second cup of coffee doesn’t come until after emails are caught up so that you don’t set yourself up to be in the workroom for an extra half hour before you’ve accomplished anything in the day yet. Set a plan for yourself for how to use your timesucker. For example, you can set a reward for yourself that you can get on facebook for 10 minutes (again, set an alarm) once the most important project of the day is completed. If you are distracted by facebook or other websites, there is a website called focalfilter.com that allows you to temporarily block yourself from websites. You can set the time limit and the sites so it’s an extra reminder that you’re supposed to be getting that project done first! If your timesucker is something more like a chatty coworker or just getting generally distracted on a number of things, set an alarm on your phone every hour at 10 minutes to the hour. It will be a regular reminder to stay on track and will give you a way to excuse yourself to an imaginary meeting or conference call if you’re in a conversation that should have ended 15 minutes ago. Many times we like to feel productive by doing the easiest, quickest things on our list first. However, if you’ll pick the two hardest or most time consuming things to get done first then the rest of the day will be much easier, more productive and you won’t have the big projects looming all day. If you get distracted easily, you can use http://inboxpause.com/ to temporarily pause your incoming emails until you finish the project so that you don’t feel like you have to stop working on your project to answer them. 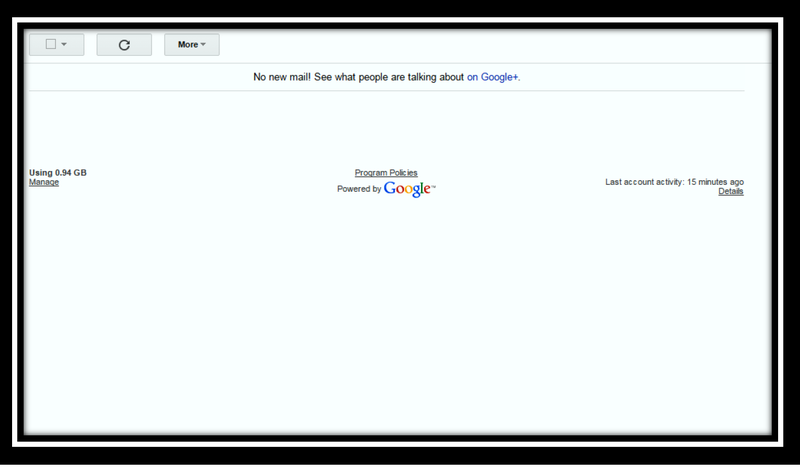 If you don’t have gmail, just close your inbox. It won’t hurt them to not be seen for just a few hours while you concentrate on finishing one thing from start to finish! The ol’ to-do list, task list, agenda, and so on. Whatever your name for the one you use, it’s one of the most important items to keep you on track and productive. But what’s the point of keeping a list of any kind if you just keep adding to it, perpetually re-writing it without every making actual progress, or continuing to forget to do things? By creating a to-do list and actually learning how to use it you can increase your productivity and be sure that you are accomplishing tasks on time which helps develop your credibility. I use to do lists in both my work life and my home life. They look different for both because I have different needs for those worlds. I’ll be writing about how I make and manage my to-do list for my home life next week, but some of the things I share here will apply and carry over. It lets you set up recurring tasks for every day, every week, every month, every year, etc. It allows you to add a task to your to do by forwarding an email directly to it. Check out the about section and watch the video for more details about this feature. It’s really neat and will help you keep that inbox clean (read why I think that’s important and how to do it here). There are lots of other online to-do lists that have similar features. Some others (among many more) are www.wunderlist.com, www.rememberthemilk.com, www.toodledo.com. You need to do your own research and find the one that works for how you work. Make sure the “look” works for you, the features do what you need them to do for what you do and then make a commitment. The second step of a good to-do list is creating a master task list. This is daunting and will probably make you want to throw up. It’s okay, don’t feel like you have to do this all at once. And know that every time I’ve shared this step with people the first reaction is an audible groan, the next is their eyes bugging out and then comes acceptance. (I think they still say bad things about me as they make their lists, but that’s okay, it will be worth it!) The master task list should include absolutely everything you can think of that you know that you have to do in the next 3 months – at least. If you already have projects or events on the calendar past 3 months, then at the end of the 3 months one of your tasks needs to be “brainstorms tasks for next 3 months” so you can be sure to stay ahead of the game as you get this process under control. The third step of a good to-do list is making a master list of recurring tasks. Any tasks that happen on a regular basis – daily, weekly, monthly or yearly. For example, if you put out a newsletter at the first of every month, then I would suggest that a recurring task “work on next month’s newsletter” is set up for the 25th of each month. You should always look at your calendar as you set up your to-do list. Assign tasks that you will have time to get accomplished during the time you that day. For example, if you have meetings scheduled most of the day, don’t expect to get 20 things accomplished that day also. Try to have a mix of small, administrative tasks and larger, more time consuming tasks each day. This will ensure that something will get accomplished every day, even if something comes up and you only have a little bit of time. Spend a little time at the end of each week looking at the next week’s calendar and the next week’s to-do lists to be sure that the days’ tasks still work with the days’ schedules. Rearrange and move around tasks before you start your week so you don’t start by being overwhelmed on Monday morning. On a similar note, as I noted in the previous two posts in the Office category about keeping your desk and your inbox clean, you should also keep your to-do list clean. At the end of each day as you clear your desk and your inbox, you should then go through anything left on your to-do list for the day (if there is anything) and move the tasks to either the next day or to another day to be accomplished. Many electronic to-do lists will just automatically roll over any unchecked tasks. However, if you allow this without looking to see if you can really accomplish what’s left on today’s list according to what’s on the calendar for tomorrow you run the risk of allowing too many things to just continue to stack on to one day and become overwhelming. Add anything unexpected that you did during your day that wasn’t originally on your list to your list and then check it off. This sounds ridiculous, but it’s important to keep up with what you did during the day, even if it’s not what you planned to do. This can come in handy when you’re trying to track when something got finished (perhaps if your boss asks?!) and is just a general way to know where your time went for the day. When in doubt, put it on the list. I say this because I think many people make the mistake of only putting the “big stuff” on their list assuming that they’ll just remember the other stuff or that it will just happen. That’s how details get forgotten. An example: any time I put a meeting on my calendar, I automatically put “put tasks from blah blah meeting minutes on to-do list.” This way, I automatically have a follow up in place even if I don’t have details yet. Even if I don’t end up having any action items after a meeting, I can just take that item off my list but at least I knew that it was there as a safety net to remind me to follow up quickly after the meeting. The key to a good to-do list is actually working this list. You have to keep up with it on a daily basis, add to it, check items off and keep up with how it’s working with your schedule. Keeping your expectations reasonable on a daily basis with smaller lists rather than working off a huge list will help you from feeling overwhelmed and as if you don’t even know where to start! Good luck and I’d love to hear what to-do list you decide to use! As I stated in my post “There’s no stress in a clean desk” I believe that there are 3 steps that you must follow each day to keep an organized work area. When I say “clean” I mean that at the end of every day, these three areas are cleared, double checked, and ready for the next day. These areas are your desk, your to-do list and your inbox. Today, we’ll tackle step 2 of 3, your inbox. Getting and keeping your inbox clean is actually very similar to the steps to cleaning your desks – it requires lots of folders! Let’s get started. This process will depend on how many emails are sitting in your inbox right now. This might take a day of staring at the computer or it might take several days of working through emails while watching tv after the kids are in bed. However, you do it, MAKE A PLAN. Set a deadline for yourself, get your total number, then set a goal for how many you have to sort through a day to finish by your deadline. And add that task to your to do list each day until your inbox is completely clear. Create a folder called “Follow Up.” This folder will be used just as the “Follow Up” folder on your desk should. It will be a place for emails that need to be answered and don’t need to be “filed” away to a permanent file yet. IMPORTANT: When you put an email in the follow up folder, you should put that item on your to do list to be sure the email gets answered and not forgotten. For example, if I am waiting to find out a piece of information for party A I will file her email in the “Follow Up” folder until I get the information I need. But when I move the email to the “Follow Up” folder, I add to my to do list for tomorrow, “Answer Party A’s email about Blah Blah.” In addition, I answer Party A’s email saying I will follow up with her tomorrow with the answer so that she knows I haven’t forgotten her and so she knows when to expect an answer. 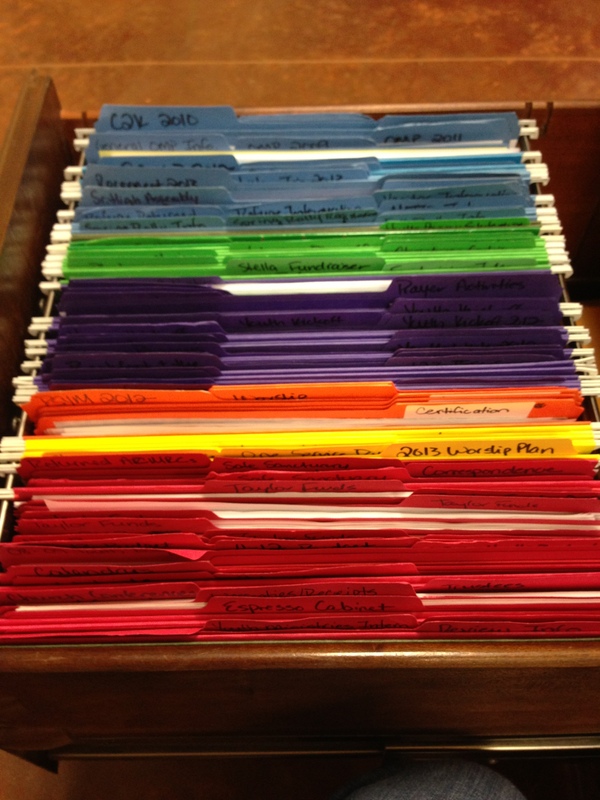 Also create folders for anything you have to hold on to for regularly occurring projects. For example, part of my job is to put out an email newsletter twice a month. People send me emails with articles, ads, pictures, etc. to put in the newsletter. As soon as I get an email with info for the next newsletter, I file it in the “For Newsletter” folder. This way, when I’m working on the next newsletter, all the information I need for that edition is all in one place but it isn’t sitting in my inbox for 2 weeks and I don’t have to worry about forgetting something. Delete the emails you no longer need. If you are deleting junk, take the time to unsubscribe to them also. Unless you actually look at the information they send you, all you’re doing is setting your inbox up for more junk to arrive later. As you continue to sort through emails, make any necessary folders and subfolders necessary to make emails easy to find. Be sure to put the year on trips or events that occur each year so it’s easier to sort. One way to keep from having too many folders on the sidebar to sort through is to put all finished events of the year in a folder called “Past Events” or “Completed.” Obviously, this will depend on your work area. 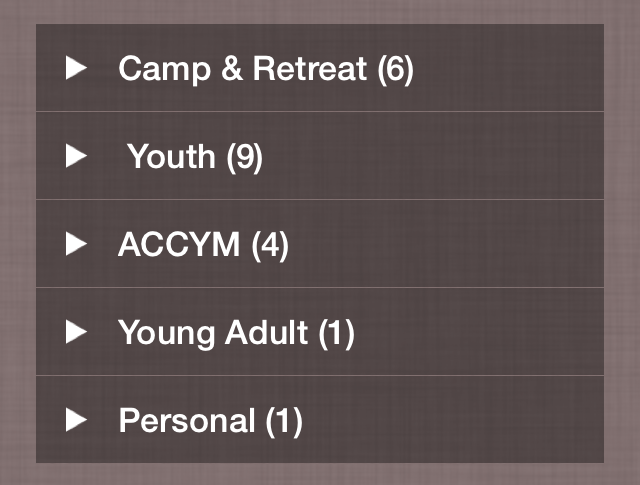 A ministry example: I would have an active folder for each mission trip for the upcoming year. Then I have a folder called “Past Mission Trips.” Once the mission trips for the summer were finished all the active mission trip folders are moved into the one “Past Mission Trips” folder. I can still find them if needed, but since I won’t be working on them regularly I won’t have as much to sort through each day as I’m looking through folders. In the 15 minutes before you leave each day the ritual of cleaning the three areas – your desk, your to do list and your inbox, should begin. Delete any junk emails, unsubscribe from any you don’t need to continue receiving. You should answer any email that can be quickly addressed in about 30 seconds. File any emails that need to be filed in existing folders. Create any new folders if necessary and file emails in those folders. Place any emails that cannot be addressed before you leave in your “Follow Up” folder and be sure to mark those tasks on your to do list for tomorrow. Be sure to respond to those emails letting the senders know when to expect a reply.